Ha, did you do the peeling of the stickers? 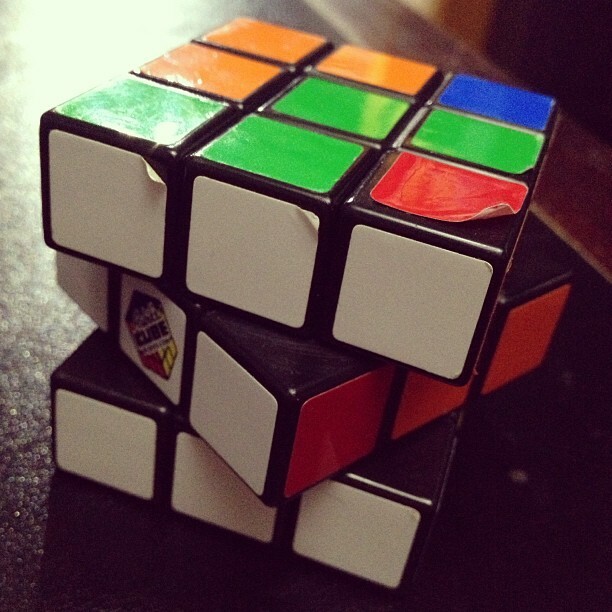 I used to know how to solve those things, it’s just a series of patterns, but I’ve long since forgotten. My 7yo did it! He’s been trying to figure it out and finally realized there was an easier way lol. He quickly realized he was making a mess. He’s now just trying to get two sides, then says he’ll try for three etc.